Nothing makes a robot happier than raw data — and can you blame us? Converting quantitative and qualitative data into valuable (and actionable!) insights is the definition of “fun” in our book. But since not everyone defines fun the same way, I’m the one tasked with compiling Read Better Be Better’s reports and I couldn’t be happier about it! In fact, I just had the time of my life computing our 2018-2019 impact data and I’m pretty sure the results are going to knock your socks off. The results are in and our Littles are doing excellent things through RBBB. 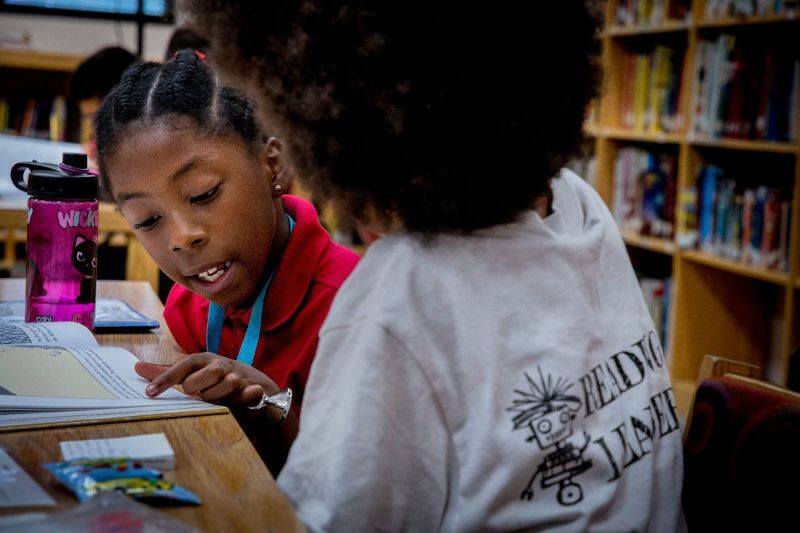 In just two 90-minutes sessions per week, they’re gaining confidence, improving their comprehension skills, and developing a lifelong love for reading. 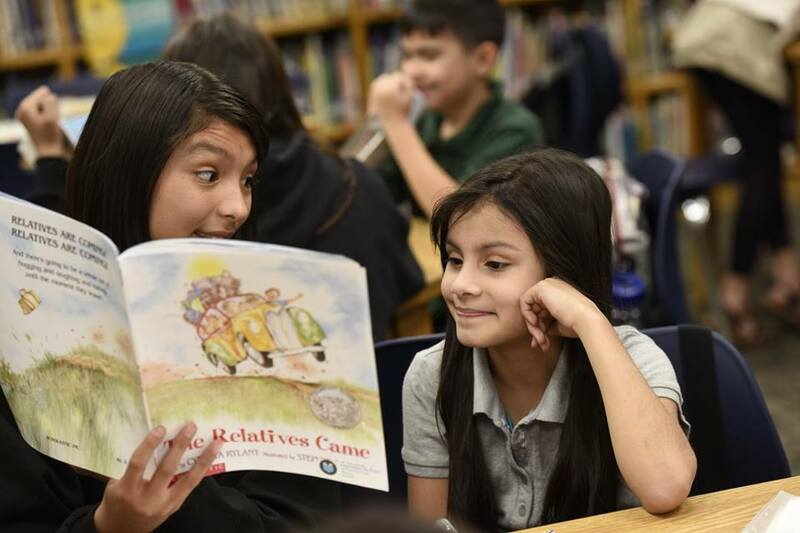 With 293 students served, an 81% attendance rate, and 4,049 books read (all districts, all schools), we’re incredibly proud of our dedicated and hard-working Littles. We are so appreciative of our Bigs who selflessly volunteer their time to help Littles improve their reading and comprehension skills. They have many other things they could be doing, and, yet, they show up week after week devoted to literacy and learning. With 257 students served, a 71% attendance rate, and 4,669 volunteer hours banked (all districts, all schools), our Bigs are learning leadership skills and the value of civic duty. They’re also exemplifying Read Better Be Better’s motto of “Be Excellent. Be Kind,” in and out of our program and that’s pretty excellent if you ask us! But What Do the Parents and Teachers Think? At RBBB, our mission is to solve Arizona’s literacy crisis. Together with parents and teachers, we can make this happen by ensuring kids have the foundation, support, and books they need at home and in school to master reading comprehension. As always, we operate under a growth mindset. As excellent and encouraging as our impact data is, we’re aiming for even better results in our next report. There’s always more to learn and more to achieve. Yes, a robot’s work is never done and I’ll be just as excited to crunch numbers and analyze data next time it comes rolling in. Until then, you can find me, along with our founder Sophie and the rest of the RBBB team, working toward our goal of solving Arizona’s literacy crisis. Interested in joining us? Check out our current openings and volunteer opportunities. Want to read our full impact report? You can do that here.